BLOOMINGTON, Ind. 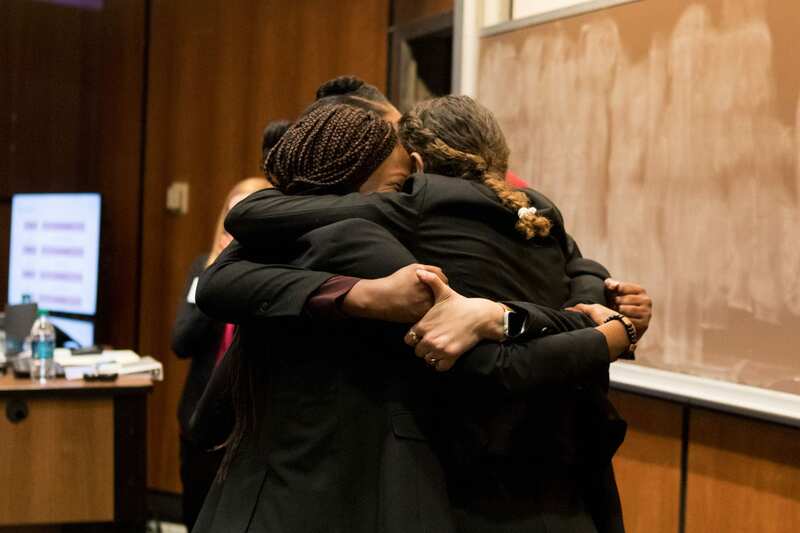 – The National Diversity Case Competition continues to grow in scope and size, with seven more teams coming to the Indiana University Kelley School of Business for the Jan. 18-19 event, now in its eighth year. Nearly 170 business students from 42 teams are competing – up from 35 teams last year. The competition, which is held the weekend before Martin Luther King Jr. Day, brings together some of the best and most diverse talent in undergraduate education from across the nation. Among the participating schools are six historically black colleges and universities. Students are challenged to solve diversity-related business issues and share ideas while benefiting from workshops and networking with companies that value inclusion. This year, the competition will focus on a case provided by Target Corp. that examines the role that small-concept stores can play in urban areas. Each four-student team must include two members from an underrepresented population. Among the 168 students participating, 38 percent are African American, 24 percent are Hispanic, 13 percent are Asian and 14 percent are multi-racial. Women account for 55 percent of the competitors. The average of grade-point average of participants is 3.33. Many students find that participating in this event leads to leadership opportunities, internships and jobs after graduation. They will compete for $20,000 in prize money. Events begin Friday, with a networking session and dinner. Competition begins early the following day, with the schools divided into seven brackets. The winners in each bracket continue on to the finals. Prizes are awarded to the winner, the finalists and the runners-up in each bracket. Judges will be looking for creative solutions that leverage the students’ diverse backgrounds. Last year, an all-female team from Drexel University won the competition. In addition to Target, another 17 corporate partners provide substantial financial support for the event, which includes travel reimbursement and lodging and meals for students to eliminate barriers to their participation. In addition to the competition, students benefit from workshops that are designed to support career opportunities for diverse students in Fortune 500 companies. In addition to Kelley, schools sending teams this year are: Babson College, Boston College, Brigham Young University, California State Polytechnic University, Claflin University, Cornell University, Delaware State University, Drexel University, Elon University, Emory University, Georgetown University, Georgia State University, Howard University, James Madison University, Louisiana State University, Miami University, Michigan State University, Minnesota State University-Mankato, Pamona College, Pennsylvania State University, Portland State University, Purdue University, Southern University and A&M College, St. Mary’s University, University of Arizona, University of Buffalo, University of California-Berkley, University of Connecticut, University of Denver, University of Iowa, University of Louisville, University of Michigan, University of Pennsylvania, University of Pittsburgh, University of South Carolina, University of Texas at Austin, University of Vermont, University of Washington, Vanderbilt University, Washington University in St. Louis, William & Mary and Xavier University of Louisiana.